Good evening everyone. 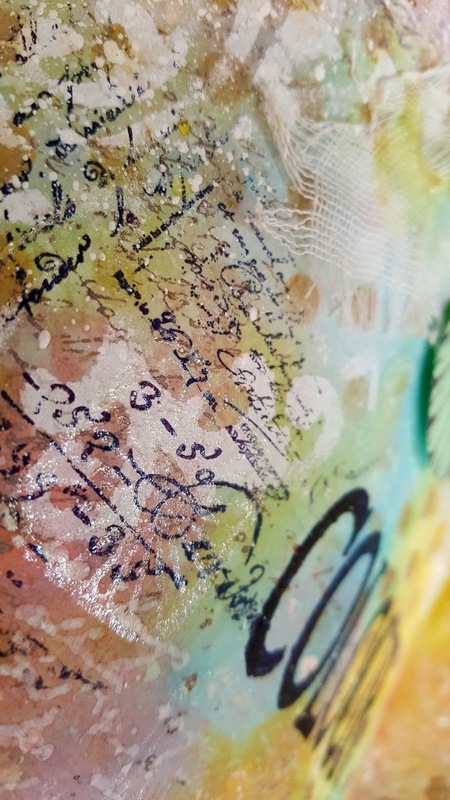 Sandra here with my DT post for Mixed Media Warriors. I have been playing with the new Ranger Oxide inks. There are lots of demonstrations on You Tube and I am still learning and getting used to them. Meanwhile I have made the following page in my art journal. I was surprised and pleased by the vibrancy of the colours, and how easily they blended together. I blended the colours together directly onto the page using a foam blender. With a spot stencil and damask stencil I added some darker and white tones. 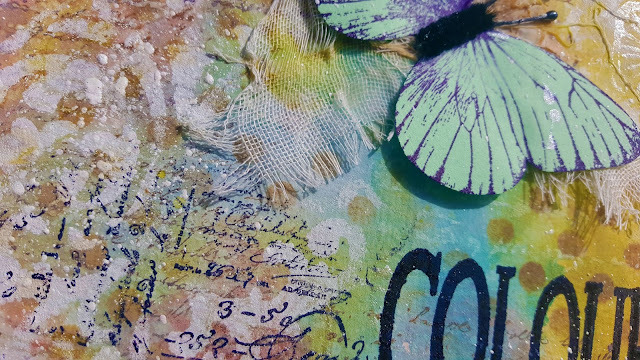 Some details have been stamped in black and white ink using Paper Artsy stamps. There is also some stamping using Paper Artsy metallic glaze. This is quite hard to pick up on the camera. I added some paper flowers and a butterfly laid over some white gauze for dimension. The pages are framed with a doodled border and edged with some darker distress ink. 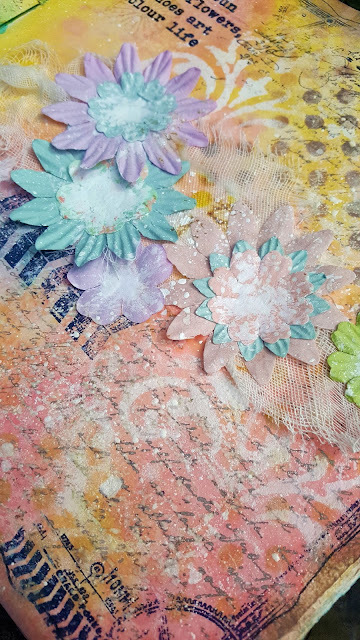 Finally I splashed some watered down Titanium White Deco Arte fluid acrylic randomly over the pages, and into the flower centres. Thank you for visiting. 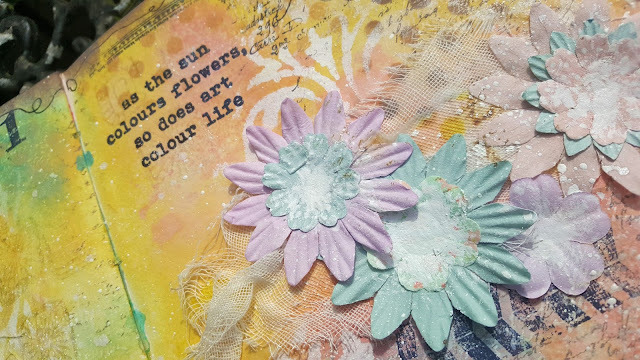 I hope you enjoy the spring-like colours from my art journal. Please keep sharing your projects here and on our Facebook page. We always love to see what you are working on. Until next time . . . . . .